Hi everyone, as we are now into the graduation and wedding seasons, I've got a new etching project to share. 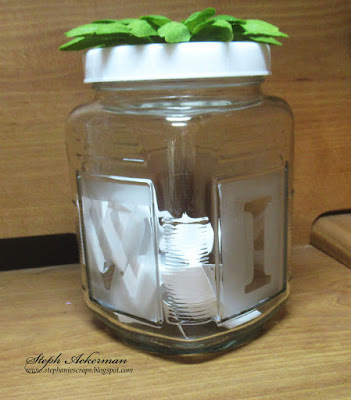 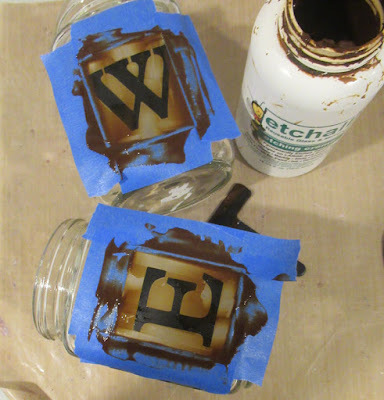 These glass jars had the perfect areas on which to add letters. 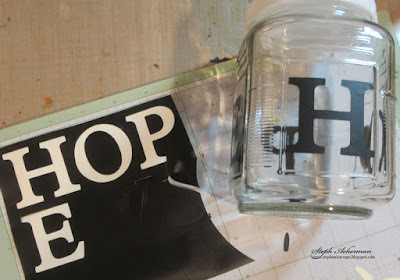 Using my Cricut, I die cut HOPE and WISH from vinyl. 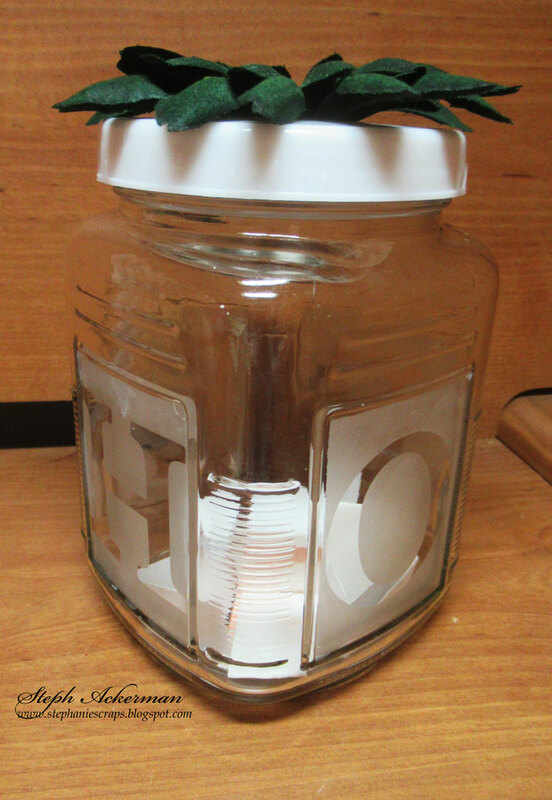 Next, I placed the letters in each spot and used tape to mark off the arears I did not want etched. Then I spooned etchallⓇ etching crème onto the letters and used the squeegee to smooth it out. I repeated this for each letter. I let the etching crème sit for 15 minutes then used the squeegee to remove the etching crème and put it back in the container. 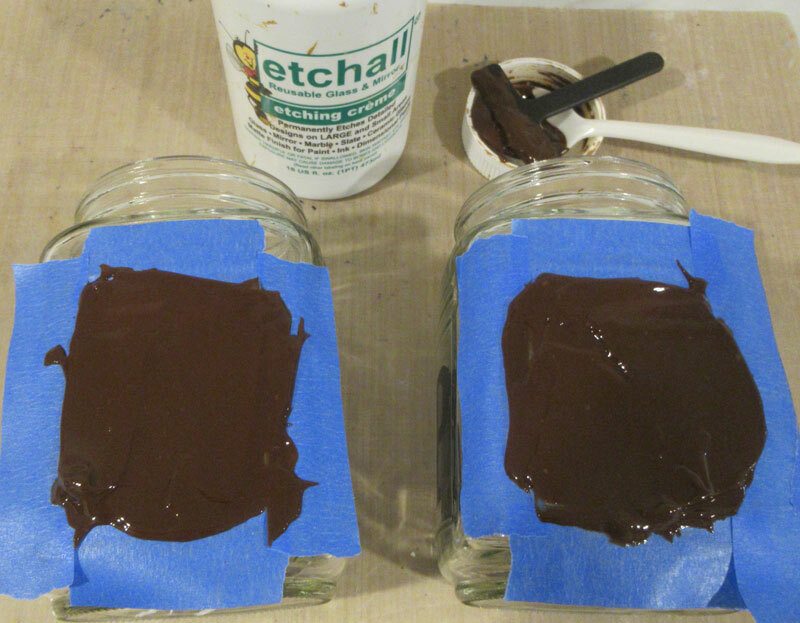 Since the etching creme is reusable, there is no waste, and you can continue to use it for future projects. Simply rinse off the jars and dry. These jars can be decorated as desired. 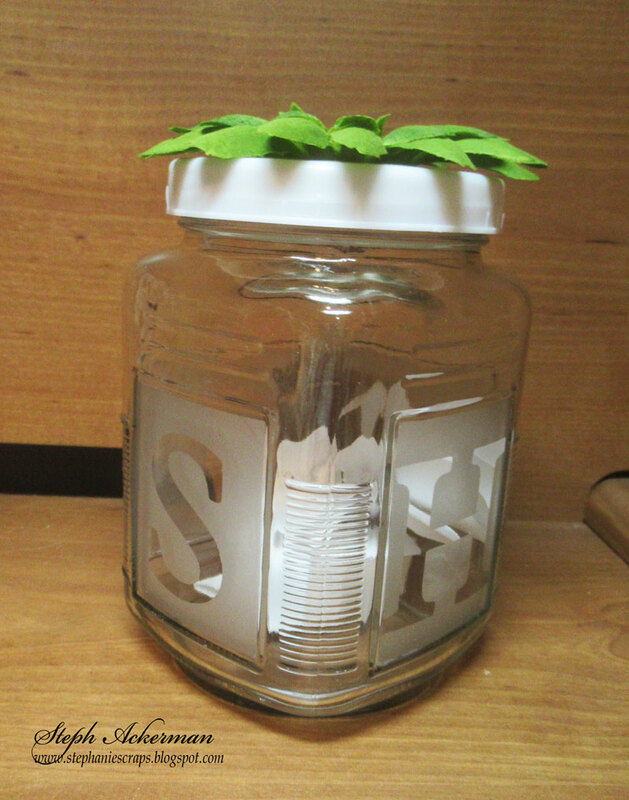 I chose to keep them simple and just added some flowers to the lids. 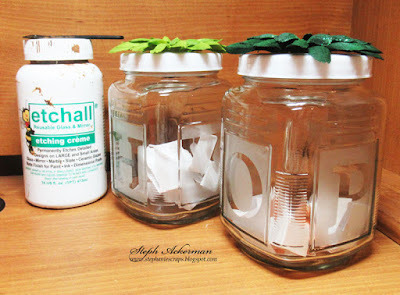 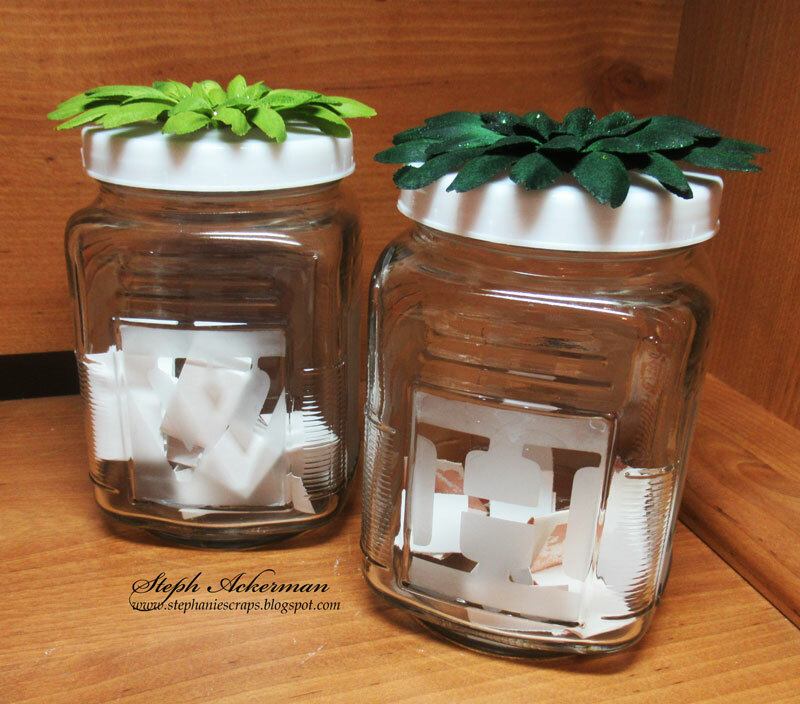 Inside each jar, I added strips of papers with wishes and hopes for the grad or wedding couple. 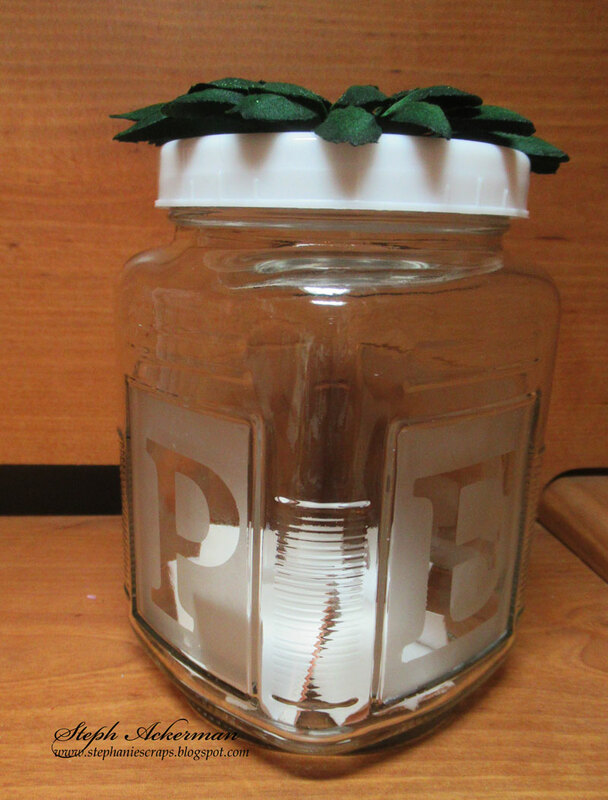 Such a unique gift for someone special don't you think?